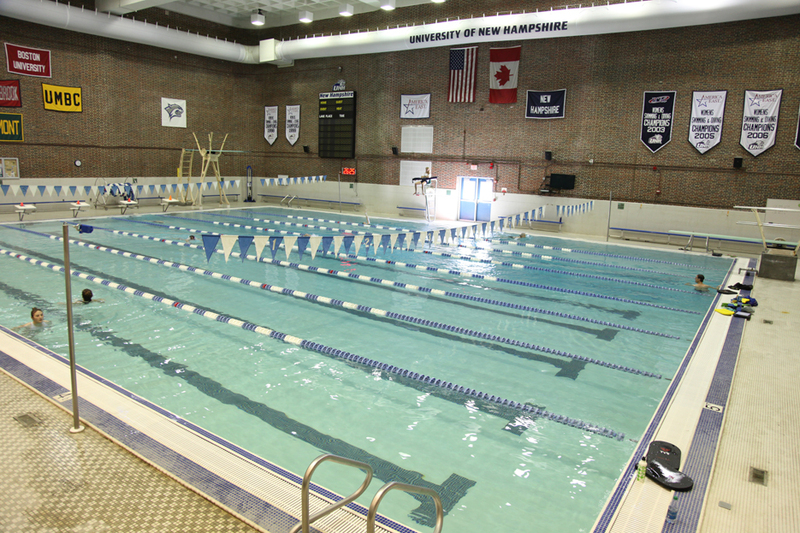 Weston & Sampson performed modifications to the Swasey Indoor Pool at the University of New Hampshire (UNH) in Durham, New Hampshire. 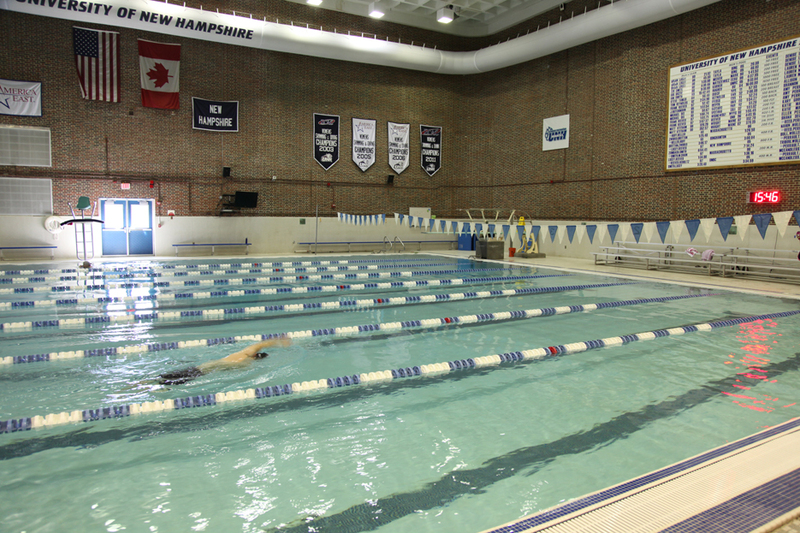 The Swasey Pool is a competition pool that ranges in depth from 4 feet to 13.5 feet and has a capacity of 250,000 gallons. 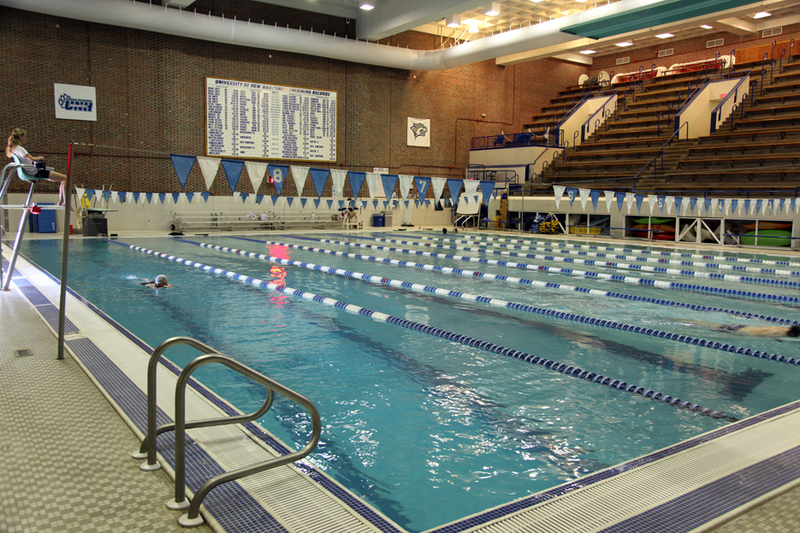 The work included replacing the main drains, which required cutting and repairing the concrete floor. 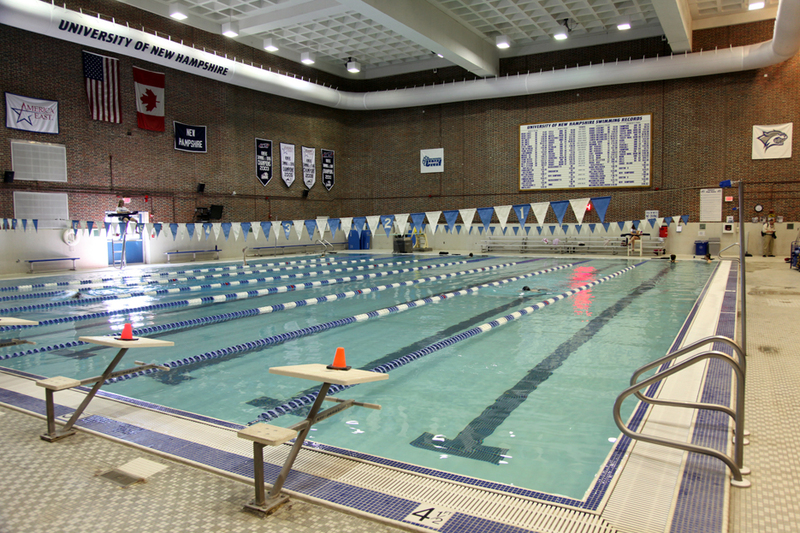 Also included was installation of new piping, filtration equipment, and Virginia Graeme Baker compliant main drain covers. 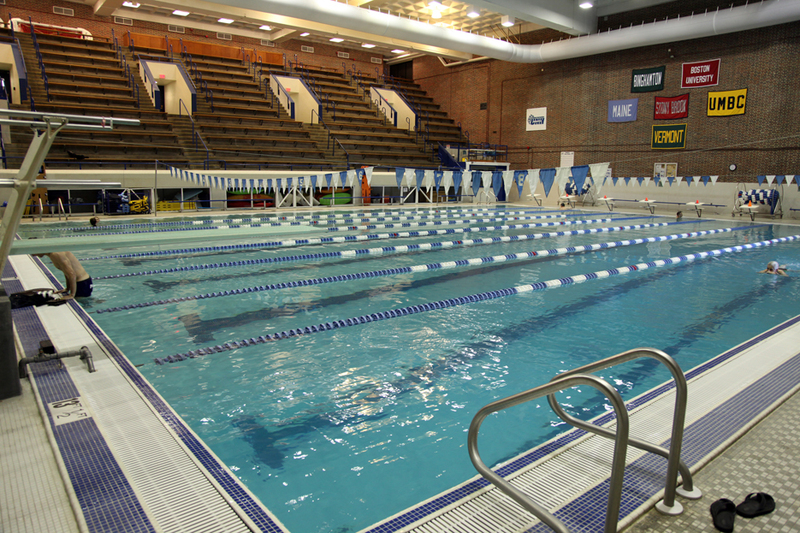 A new plaster finish was installed on the surface. 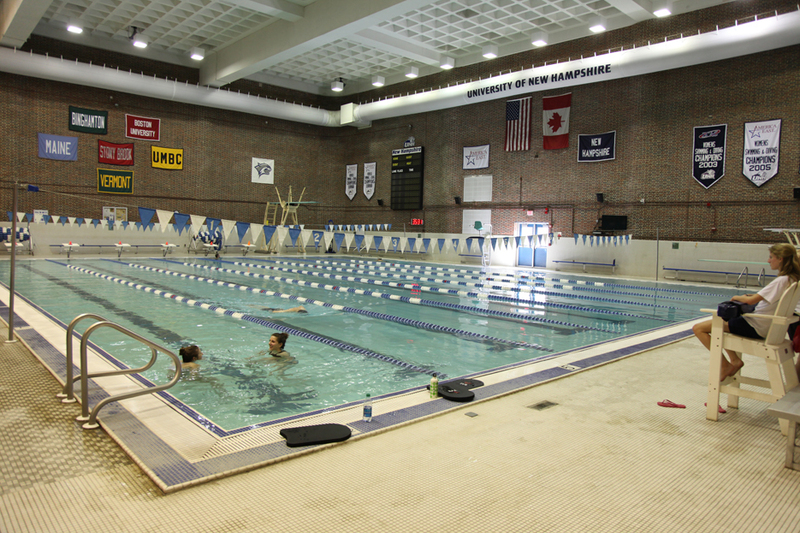 UNH-colored tiles were used to cover the coping and portions of the walls. 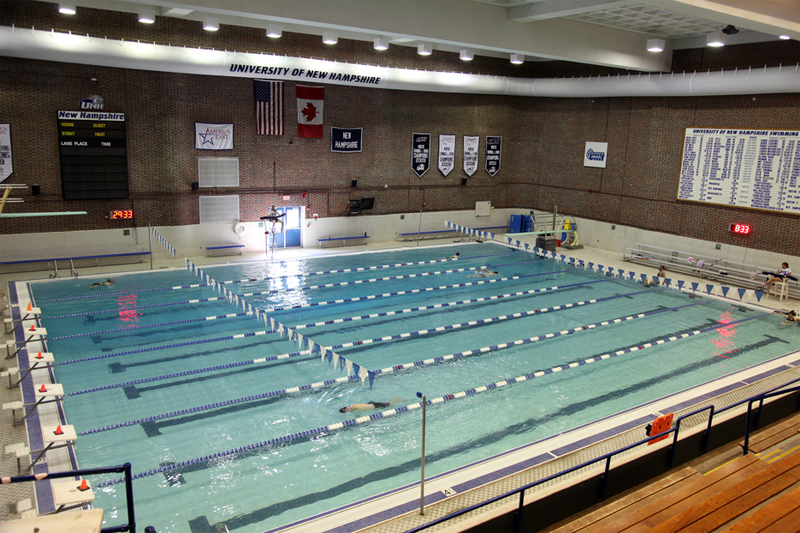 Posted in Aquatics, Construction, Institutional, Pools & Splashpads and tagged academic, unh, university of new hampshire.